Isn’t it interesting that Scripture points to the impossibility of taming the tongue as long as we try to do it on our own? Before giving an answer to that question, let us look at our normal ways of reacting as soon as someone pulls our triggers, since there are indeed two different kinds of reactions possible. However, none of them will ever set us free. Well…I was just reminded of the way the prophet Jeremiah was called by God. He was a rather young man, insecure and full of fear to serve God, as it had been the case with Moses, too, who had not dared to speak up for the Lord on his own. All prophets of the Old Testament needed a certain experience so that they could become useful for God’s service. They needed to realize that they could NEVER do on their own what God wanted them to do. Therefore they needed true self-knowledge, something man naturally is not inclined to learn about unless he or she has already encountered their bare nakedness and uselessness in the light of God. But if they know that they will never be able to serve Him in any useful way, they will eventually be empowered by the Holy Spirit to do so, though. We read for example how God made Jeremiah speak up for Him. The “method” of being empowered by the Holy Spirit has not changed in New Testament times. If there was indeed no certain call nor power received from on high, man is never able to speak the words of God. Instead, he will always be captured in his old man that cannot change – ever. Also, the fruit of the Spirit includes self-control which is something the old nature does not possess. As soon as the old Adam and Eve feel triggered, they react. Either by turning into the attack mode against others or by attacking their own soul. However, the new man is eventually able to open up his heart to God and others and to let them see what is inside. If we open our hearts to one another, God’s light will heal all our wounds and we may experience His love deeper and deeper the more our wounds have been healed. Dear reader, I would be interested to hear your thoughts, impressions and/or experiences with that topic. Ah, lovely post. Words, triggers, what I call Other People’s Stuff, tends to just roll of of me these days, like water off a duck. It didn’t used to be that way, but God has really healed my heart and tends to do so daily. He also took “me” out of the picture, “me” being the one that tends to take offense or desire revenge. Somehow He managed to show me that it’s not all about me, all of the time. That’s kind of a blow to the pride, but it sure does make dealing with people in a more loving manner, much easier. Something else I’ve discovered, often what we say about others we are really saying about ourselves. What we dislike in others is what we usually dislike in ourselves. So from that perspective, the words we speak really matter, because we’re speaking them over ourselves. Is it appropriate to say what I have heard that mercy trumps over judgement? “Something else I’ve discovered, often what we say about others we are really saying about ourselves. What we dislike in others is what we usually dislike in ourselves. So from that perspective, the words we speak really matter, because we’re speaking them over ourselves. Psychologically watertight, I would say. Impressive! Dear Susanne, Your latest article hit close to home. From my earliest memories I have had problems with (hang on!)…….. the female gender. Your story about the kids in the sandbox brought to my mind one of my earliest memories of relating to a girl. My parents were in her house with her parents visiting and her brother, herself and I were out in their sandbox playing together where the parent could see us from the dining room window. The girl and I were about the same age and she kept flipping sand up into my face. So, finally, I grabbed her by the back of her hair and pushed her face into the sand. At that moment my dad yelled at me to stop and as I looked up at him, she grabbed the metal sand shovel and hit me in the back of my head with it! Whang! All the parents thought it was funny. No reprimand for her, though! Needless to say, we never played together again. More recently, I have felt the love of the Lord in me reaching out to my fellow bloggers on the web who have also gone through much abuse and rejection in their lives. As they have shared their stories I could identify with them in many ways; sexual abuse, physical and emotional abuse, church abuse, etc. But on a couple of occasions I have felt rejected by them as well! There are so many triggers in us from years of rejection and abuse! So, last night I was depressed from feeling rejected once again, because of their triggers going off toward me and mine going off as a result. One of these sisters with many wounds from the past reacted like you said, Susanne, she shut down and withdrew inside herself. The other one, because of the love of God for me, hung in there and we battled through our own triggers and finally prayed together and God quieted the storm in our hearts and we were restored. It was not fun to honker-down and “stare our personal demons” in the eye, but once we invited God into the situation we were soon healed and now are on a kindly level of communication once again. I have found that this kind of love that is determined to see our mutual differences and pains through to a positive end is a rare thing among Christians. We seem to look for opportunities to disagree, fight and isolate, more that we look for ways to be reconciled and to walk in Christ’s love together. But what a blessing it is to be truly knit together IN Him by His love and forgiveness for one another when we do it right! Love your part in Christ’s wonderful body, dear sister! What you wrote about reaching out to those who suffered much in their life, well, that is a delicate thing, indeed. The more abused people have suffered, the more triggers they have. People who had a more or less “normal” life cannot imagine how that painful abyss in their hearts might look and particularly FEEL like and thus they won’t be that sensitive and careful in dealing with abused persons. Therefore those who were hurt by too many triggers at a time might run and hide in order to lick their wounds and thus they can recover a bit through staying away from other human beings that might hurt them unintentionally again and again. As for Christian fellowship, in fact, the more intimate such a relationship becomes, that is, the more we open up our very hearts and tell the other what is really inside, the more vulnerable we become, too. However, that is actually the way God heals our triggers. Sometimes He does it without our Christian siblings involved and sometimes He uses our brothers and sisters. And if we have gone through such painful experiences together and have also felt His healing hand, our hearts are “truly knit together IN Him by His love and forgiveness for one another” as you so aptly said in your response above. Thanks so much for your deeply touching comment, my brother. Oh oh, Michael, I am melting away…….like ice in the sunshine 😉 Thank you for your lovely reply! You are so precious to me, my brother. You may know that you have helped me a lot on my way with God, both with your own perspective of scriptural matters and with your loving virtual fellowship. Thank you very much for being YOU, too. I am so glad you found it helpful, my dear sister. Feeling those triggers is painful, indeed, but there is the hope of healing in Him – always. Things can only get better if we let Christ do the work in our hearts which we could never do on our own. May God bless you immensely, Brenda! Susanne, this is a wonderful post. In recent years, I have prayed, “Father, I am never going to be offended again”, Of course, that requires His grace. As soon as I realize that I am offended, I repent. I love walking free of offense. Recently on Michael’s blog, a brother said that he had read a definition of compassion, quoting, hopefully correctly – compassion is running to pain. For me that has to be God given. My natural inclination is to protect Pat – twenty four seven. Protecting the old man is not what Jesus died for. My prayer is that we His children will no longer live to protect the old man. I believe that it is possible to live for the glory of God. Great comment, Pat! Thank you very much for your encouragement, too. 🙂 The definition of compassion as running TO pain is truly helpful, I believe. Thanks for quoting it on here, dear sister. We have the same inclination, Pat, and without His grace I would have never said ‘Yes’ to being confronted with all my triggers so that I might be healed. Actually, I can tell you that our Lord indeed works miracles. If I feel offended, I know that I must open my heart AND my mouth, either by telling God or the one who offended me about what I FEEL. Thus I can be sure that the trigger will be gone soon. Covering up never helps although it seems at first that this could be the easier way. But protecting our heart only keeps the old man alive as you mentioned above. And it feels so much better to live in the new self which is truly free. Your article needs no further comment…we as humans that were created out of dirt and then got poisoned in the garden cannot live Godly on our own self effort..we have to be empowered by Gods very being in us..He is Godly and we are not..but with Him birthed into us now we can be participating in His Godly actions out of us as us. Reply: Brother Michael’s message 2/9 6:04 pm: I am blessed for his covering: “confess to one another: faults: Pray for one another. one is being healed. I have a song by SCRIPTURE IN SONG OF NEW ZEALAND: adds: about confession to one another: WITHOUT FEAR OR BE TURNED AWAY:….WE ARE COVERED BY OUR FATHER’S LOVE. Then..WE WILL LEARN OUR TRUE IDENTITY. These words of yours are true. Those that know nothing of true abuse, they know not what they are speaking about, nor are they moved by the Holy Spirit in any real sense to fix any serious situations, believing in arrogance that they have and hold the answers of truth from ‘their’ eyes that do not see the hand of God moving. I believe they call this ‘missing the mark.’ Which we all do at times. They can not truly recognize the powerful dynamics of great abuse or the dangerous places that the abused may be standing, nor can they truly identify the spiritual source of this anguish, nor can they hold the ability to bring forth God’s healing because of having a “normal” life as you have referred it as. Reading a book of psychotherapy can never make one an expert, just as reading the Holy Bible can never make one an expert either and standing in the garage does not make you a car. I see beautiful healing scripture on this page but then I am reading comments and I see a great entwining of ‘worldly’ psychotherapy babble ideals. How can this be? Are you aware that worldly psychotherapy does not allow the mention of Jesus,God or the Holy Bible? How can that be? To take away the Mighty Physician, the ONLY healer that can bring forth healing makes all psycho-babble useless, distracting and again, off the mark. I would not say that those who I encountered and who triggered me, whether psychologists or not, would have done so because of arrogance since I prefer to not judge their hearts. However, often times it was only ignorance, that means, they did not know what they did. I remember a counselor simply mentioning (out of the blue!!!) , “Uhm….Mrs. Schuberth, I read that you were abused and raped, too?” left me sitting there, trembling from head to toe, in the midst of a panic attack and I only wanted to run – far away. Such a reaction (mine) cannot be understood by anyone who had not been abused in any way….. It seems you made similar experiences, perhaps? If so, may God bless you and heal you completely, my dear friend. Well, it’s a long healing process, isn’t it? 20 + years = full restoration. Yes it was. Not that I have already obtained this or am already perfect; but I press on to make it my own, because Christ Jesus has made me his own. Brethren, I do not consider that I have made it my own; but one thing I do, forgetting what lies behind and straining forward to what lies ahead, I press on toward the goal for the prize of the upward call of God in Christ Jesus. Let those of us who are mature be thus minded; and if in anything you are otherwise minded, God will reveal that also to you. One of these sisters with many wounds from the past reacted like you said, Susanne, she shut down and withdrew inside herself. The other one, because of the love of God for me, hung in there and we battled through our own triggers and finally prayed together and God quieted the storm in our hearts and we were restored. I read this with great interest Susanne and it just touches the tip of an ice-burg really. I highlighted this comment from Michael for a reason….. He might have been referring to me shutting down which I did and yes withdrew into myself……’the other one because of the love of God ….’ assumes that the person who withdraws and shuts away does not have the love of God in her. This is not true at all. As Joan mentioned it is ignorance about deep abuse that even the one who has been abused does not know what has happened, nor is she or he aware when she shuts down. I lost several days last week literally and it was very scary. God kept me in his love through this time. As I spoke to my counsellor about this lost time and then coming around again she said it was a massive break through – it truly was. I did not harm myself. In the past when I was young I was fit and healthy physically and moved and ran continually. I had no idea this is what I was doing. I had no idea at all that I had been abused. I never questioned anything. Yes the break through came because for the first time in 40 years I recognised my dissociation of a massive trigger ….. as you know you cannot always pin point what was said or how it was said. It is so reactionary. I withdraw so as not to hurt the other person but also to protect and as you say lick your wounds. As Joan said it has taken 20 years and for some more. We cannot put a time limit on it but there is so much ignorance within Christians particularly I have found from my own experience of being a Christian for nearly 30 years. They have hurt me the most, yet we are to remain in fellowship. How impossible this has been and how hard to get back on the horse. I’ve fallen from many horses as it were and it is the LORD who has lifted me up. I know it is not my strength at all. As for love, as you know once being abused, twice or thrice then the concept of love has no meaning. My question to many Christians has always been ‘would you love me if you did not know Jesus?’ ……I have known many who do not know Jesus but have loved me more than Christians. How is this? St. Francis of Assis I think once said if in doubt say nothing ….. something like that ….. I’m sorry but so many Christians spout religious scriptures throwing them into a hat to see which one fits the situation. For those who have been abused this is explosive and more layers of condemnation and guilt. Since you said you welcome any thoughts I hope you post this because this is what I am feeling right now. Our dear Lord has been so cautious and careful with opening the eyes of my heart more and more until I saw that HE never wanted to do any harm to me. His healing hand is so tender! It was only Susanne who wanted to get healed as quickly as possible, but finally I saw that these deep wounds truly need a very long time to be healed. Often I thought as Joan mentioned above that I had been completely restored. However, it was simply His rest He let me enjoy until, soon afterwards, the next layer around my heart had been exposed. So, yes – it has been a process and we do not like it that much, esp. its long duration. Yet as long as we feel any trigger that makes us react in any way – spontaneously, i.e. (almost) unable to control the reaction – we are not yet restored whether we want to realise it or not. What you wrote about those dissociative times, I had them, too, very often, when I was bipolar between 2000 and 2008. Times when I had no clue what I did and where I was…everything had become so blurry in my mind and I was never sure whether what others told me afterwards about my doing had been right or wrong. A confuzzled mind, indeed. Dear Susanne, I so related to what you said. I wanted to write to you and ask about disassociation but instead the LORD came unto me. It’s funny I realize thinking on this Only Jesus can reach down into those dark places. Someone wrote to me with a vision and that Jesus is going to go through a door into those terrifying places I don’t want to remember. I knew it would come but I also remember the LORD speaking that amazingly good things will happen running parallel to them a kind of antidote as it were. Susanne I am so glad you allow this space and I think it works because the people come respectfully and carefully in love ….. well that is my experience. Yes I am now in a place where God is bringing the right people into my life both men and women [my brothers and sisters]. I know they are right because of the love they have. Truly the Kingdom of God is in this place! 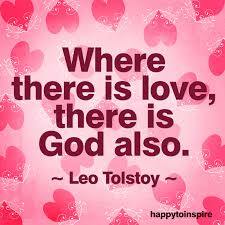 I have felt a deep profound love for God today beyond any descriptions so that is why I write I suppose. Susanne you are such a blessing to me beyond words. I always knew I was capable of love but never had a chance for it to be reciprocated and that is where the greatest healing comes. May God bless you Susanne and enrich you with the desires of your heart. Blessings to your family too. If you could see me now, you would find me in tears. I have been touched so deeply by you, my precious sister. You are a true treasure given to us by our sweet Lord and God in heaven. You and I have similar experiences currently since I, too, feel God’s love spreading inside me more and more without ME doing anything about it. That is a miracle, isn’t it…? Every blessing to you and your daughter! Susanne and Jacqui, I want you both to know how it blesses me to see the two of you loving one another the way you do! I have been praying for you both and am so blessed to watch our Father work miracles in your lives and heal you with His love the way He has. Thanks to you both for letting me in your lives and loving me as well. Thank you for being YOU, Michael, and thank you, too, for your prayers. I know God hears them. Dear Jacqui, once again I am in tears. Since I wrote the above about “hiding and withdrawing” you made me aware of a phenomenon called “disassociation” that takes place in those who have been deeply wounded or are going through a trauma that is too much for them to handle. I have had years of PTSD from my experience in war, but never did I see the level of disassociation that you suffer from in the part of the war I was in. In WW2 they called it “shell shock.” I have met many men who were in battle that had a determinant “1000 yard stare,” which is similar. Now that I look back on my upbringing, my father a WW2 vet was “home but he was NOT home” as I grew up… he was never there for me emotionally. My mom told me that His trauma in battle changed him and that change adversely effected all of us in his family. My dear sweet sister, please forgive me for speaking something regarding you without KNOWING your heart and what you go through deep inside when people do not show you the love and kindness of Jesus, but rather come at you in their own ignorance and religious mindsets. I am truly sorry. I love you and will be watching for your card to come in the mail. IN the love of Christ for one another, we will make it, dear heart. Thanks for not cutting me off from your sweet fellowship. Dear Jacqui, Wow!!! I have never been so openly loved by a sister in Christ on a public forum before! I am a bit taken back, for I am not used to this, I have spent most of my life with those who counsel that we should, “Flee the very appearance of evil!” as if that will change what is really in our hearts! 🙂 Jacqui, I am so blessed by your wonderful heart that has so opened up to being loved without any pretense or conditions as you have spoken of finding on this blog. Susanne’s great heart has set the tempo of what is written and shared on here and God has done such a great work in her in the fourteen months I have known her. Oh, and FYI, I do share all that concerns me and the sisters on here with my dear wife, Dorothy, and she has been given great grace toward me and knows that SHE is loved with this same love that God has worked in me for others. Someone very recently told me once again, to forget the past, they admitted that it is a very hard thing to do, but we must keep trying. Forget the past, but how can one truly forget when there are TRIGGERS everywhere, every day of one’s life?! Be it a smell, a picture, a place, someones body language, a word spoken a certain way and on it goes, never to stop! Triggers, triggers, triggers there never seems to be an end to them!? People attempt to stop these triggers, when they tell others to forget the past, but they are saying such things in a futile attempt to silence their own painful past! 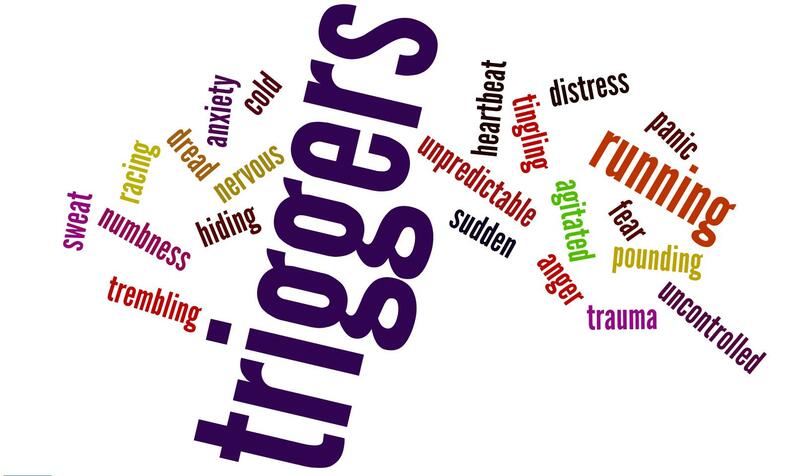 To endeavor to silence triggers in our own personal lives, we trigger painful memories in those who we are speaking to. It becomes a vicious circle that wears us out and the ones we are attempting to control. Truth be told, it is just another form of denial, a lie that we are taught. We are not to deny our painful past, by endless suppression, NO, we must face our pain, feel our pain, confront the truth of our pain and then lift it up to God for Him to bring healing and deliverance to the wound that is causing the pain. Isaiah 41:10 (KJV) Fear thou not for I am with thee: be not dismayed; for I am thy God: I will strengthen thee; yea, I will help thee; yea, I will uphold thee with the right hand of my righteousness. Thank you, Susanne. Our Father knows what we need to hear and when it is the correct time to hear and listen. ‘ It was as if God was speaking directly’, well then there is no need to respond to me, unless you want to Susanne. Many happy faces ���😊��and hugs are being sent your way. What a lovely response! Many happy faces and virtual hugs back to you! Very good post. Often aggression is also a cover for a low self-esteem. The aggression is an effort to be noticed and appear more important. I agree wholeheartedly, Lloyd. Aggression can also be “an effort to be noticed and appear more important.” I have often been wondering, why is that? Are the reasons for trying to appear better than others to be found in childhood or later? In a lack of approval by parents, teachers, relatives, etc.? Can an aggressive posture – on the surface, at least – somehow protect the aggressor against feeling his own hidden pain? Lloyd, aggression to cover one’s low self esteem explains to me the actions of many pastors I have known. Like you have pointed out, Susanne, “an effort to be noticed and appear more important,” or “larger than life” or posturing, is used to cower the members of the congregation to keep them under their control. What a far cry from the gentle Shepherd who came to lay down His life for His sheep. Michael, this is so right on regarding pastors, but allow me to apply it a bit further. Far too many husbands who have been subjected to this type of ministry have also learned this behavior and are carrying it out in their homes. Aggression, arrogance, intimidation, etc. and on it goes. Spiritual fathers (pastors) passing their sins down to their spiritual children (saints). The sins of the father being visited to the 3rd and 4th generations of spiritual children. Well anyway, that is how I am seeing it taking place. Yes, Susie, you are right. I have sat under this kind of ministry in the past and it about destroyed my marriage. Michael, how did you overcome it?! How does anyone overcome a lifetime of programing! My hubby sat under his pastor for 18yrs, for me it was 14yrs, but all in all, we were pentecostals for 40+ yrs. Our first pastor was harsh, dictatorial, domineering, angry, Hell,Fire and Brimstone preacher! That whole life style has quite literally broken me down! Susie, God let me reap what I was sowing to my wife… He put me under task masters in churches, at work.. people that showed me no mercy in my daily life.. for years and then showed me that this was what I had been sowing into my wife. Then it became obvious what I needed to do, repent and sow blessing into her life instead. And I prayed He would change my heart and break me and He did, but not without many stripes. Unfortunately not everyone learns nor do they try to find out what they are doing wrong and seek for change. This was a very good read. Thanks for the link. I liked the title. Life is a Triggery Business. It sure is.